We are currently at a decisive stage in the struggle over the fate of the Iranian nuclear program, with the center of attention being the negotiations over the future of the plan between the great powers, with the United States at the forefront, and Iran. The question currently being aired is whether Iran will be willing to accept a watered-down list of restrictions on its nuclear activity, in return for the incremental lifting of a range of sanctions currently in place against it. At the heart of this question is the width of the proposed Iranian nuclear threshold, that is: Under the terms of the proposed agreement, how many months will it take for Iran to acquire sufficient quantities of weapons-grade enriched uranium for an initial nuclear explosive device, and then to weaponize it, should it choose to do so? Such a step would of course be in breach of Iran’s declarations and commitments, but these are in any case widely considered to be entirely unreliable and inconsequential. A large number of parameters will determine the answer to this question, among them: the number of centrifuges that Iran will be able to maintain, their type, the connections between them and how they are operated; the level of enrichment to be allowed; the quantity of enriched material that Iran will possess at any given time, and what will be done with any enriched material beyond the permitted amount; the kinds of research and development to be conducted on uranium enrichment; the future of the secret Iranian facilities, in particular the underground enrichment facility at Qom; what will be done with the decommissioned centrifuges, and with the physical infrastructure on which they are constructed; the future of the components of the plutogenic track, in particular the reactor at Arak; how Iran is to report its past nuclear activity, with an emphasis on the possible military dimensions of this activity (PMDs); which limitations will be placed on Iran in terms of developing ballistic missiles; the length of time that the agreement will be valid, in terms of the restrictions it places on Iran; the mechanisms for inspection and supervision of the agreement’s implementation; the restrictions to be placed on Iran’s nuclear cooperation with other countries; and how the sanctions are to be lifted. The way in which the parties involved relate to these parameters reflects both their own policies, and the way in which they understand the policies of the other parties to the process. I will describe the policies of the main parties below, foremost among them being the United States and Israel, and accordingly their attitudes toward the parameters underlying the debate. But first it is worth examining the framework within which the discussion of this important issue is being conducted. This framework comprises the current status of the Iranian nuclear program, and the history of the struggle over its future; the current status of the international and regional systems; and the worldviews of the relevant leaders who hold decision-making roles regarding the future of the program. The current status of the Iranian nuclear program is the result of 27 years of Iranian investment on the one hand, and, on the other, efforts to halt it, mainly by Israel. There was a brief period between 2003 and 2005 when European pressure, backed by a US military threat, resulted in Iran first accelerating its program, and then agreeing to slow it down; and also a three-year period from 2012 onwards, of more serious international involvement in attempting to slow the pace of the program. Although this latter involvement was largely a case of too little, too late, it has led to the current situation in which the program is being examined. The glass-half-full for Iran is that, over these decades, its scientists have successfully overcome a raft of technical hurdles, often with the help of foreign experts, and have accumulated essential knowledge in missile technology and nuclear enrichment, as well as apparently acquiring a significant proportion of the technologies necessary for creating a warhead and fitting it to the Shahab 3 missile. 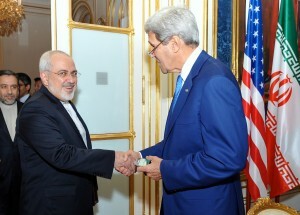 Throughout this period, Iran’s leaders have acted to take advantage of Western laxity and to create a previously unthinkable reality in which the international community, and in particular the United States, is prepared to accept the existence of an active Iranian nuclear program, one that supports a leap to nuclear weaponization, and thus in effect to accept – and even grant formal legitimacy to – the reality of Iran as a nuclear threshold state. In the “Joint Program of Action” (JPOA) from November 2013, agreement was reached on the principle that a final agreement about the Iranian nuclear program would allow it to enrich uranium in line with its practical civilian needs, despite the fact that it is clear that there is no such civilian need; and the Iranians would be allowed to continue part of their R&D activities in enrichment and to operate the Qom facility; while at the same time no agreement was reached regarding Iran’s ballistic missile array. All of the above stands in complete opposition to the decisions of the UN Security Council, which are still in force. Thus Iran: continues to develop its arsenal of missiles; avoids providing information about its weapons activity and achievements; continues to enrich uranium using around 9,000 centrifuges of a relatively low-yield model, including at the Qom facility; maintains around 10,000 additional centrifuges that have been installed but are not yet active, most of them of the same type, but some more advanced; continues to develop different types of more advanced centrifuges, which it will be able to make operational should it need to do so; and continues to hold some 7.5 tons of enriched uranium to a level of 3.5% (which represents around half the investment in enrichment required for military-grade material). Once brought up to a 90% enrichment level, this would be sufficient fissionable material to make four or five atomic bombs. Indeed, two years ago the situation was even more serious in certain respects. At that time Iran had accumulated close to 200 kg of enriched uranium at a level of 20% (representing around 75% of the effort required to achieve military quality), but its activity was then considered illegal, whereas now it is carried out with the agreement of the international community. The practical upshot of this situation is that Iran is today only several months away from producing sufficient fissionable material for the creation of its first nuclear warhead device, and maintains the capabilities required to develop nuclear weapons. The glass-half-empty for Iran is that it suffers, although increasingly less so, from the effects of the economic sanctions placed upon it by the West. It is possible to say that the fact that Iran has not yet developed nuclear weapons, in spite of the 27 years in which it has been trying to do so, is due in no small part to Israel’s efforts, which will be discussed in more detail below. Thus the claims made that Iran’s success in proceeding towards the attainment of nuclear weapons represent an Israeli failure, are themselves worthy of ridicule. Without Israel’s actions, Iran would have obtained nuclear weapons several years ago, and moreover, it is thanks to Israel’s actions that Iran is unlikely to obtain nuclear weapons for many years to come, even if an agreement is reached that does not meet Israeli expectations. The regional and international picture has undergone many far-reaching changes since Iran began its nuclear program. Despite the importance of the effort to block this plan for all the main players in the international arena, their general agreement to work together against the Iranian nuclear threat, and the fact that this agreement was reached in spite of the differences between the six countries party to it, the powers never viewed the thwarting of the Iranian plan to be a goal of supreme importance, trumping other international and regional considerations, and thus refrained from defining as a goal the removal of the dangerous regime in Tehran. This is in spite of the regime’s extremism, its repression of the Iranian people, its deep involvement in terror and agitation, and its commitment to the change of the regional and world order and to the destruction of the State of Israel. The West does attribute such supreme importance to other interests, such as the war on terror, relations with Russia, safeguarding the flow of oil, ensuring regional stability at minimal cost, and others. Against the backdrop of regional instability and the war against the “Islamic State,” the significant differences between the international powers and the pragmatic regional powers have only deepened, as regards Iran’s nuclear aspirations and their connection to other threats in the region. While the pragmatic powers in the region view Iran as a central part of the revolutionary Islamist camp, and see its nuclear program as a springboard for it to increase its regional hegemony, the international powers, including the United States, see Iran as a potential partner in the battle with Islamic ultra-extremism and in the struggle to promote regional stability and economic interests. The third component of the framework in which the current campaign is being conducted is, as mentioned, the worldviews of the decision makers. Western leaders, with Obama at their forefront, believe in the almost exclusive use of dialogue as a means to address disagreement. 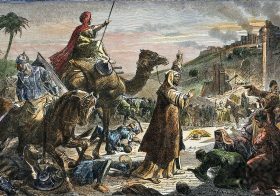 They believe that Muslim perspectives in general, and Iranian perspectives in particular, of the West as a historical oppressor that has wrought great harm to the region, contain an element of truth that needs to be acknowledged. They are convinced that the burden of proof as to the good intentions of the parties to the current negotiations falls first and foremost on the West, and in accordance with their liberal outlook, believe that all people share essentially similar and equally worthy values and aspirations. On the other hand, the leaders of Iran, who are driven by a sense of mission that is both Islamic and revolutionary Iranian-nationalist, believe that it is their duty to bring about a wholesale change in the world order, using a combination of cunning, force, and daring, and making the most of the freedom of action afforded to them by the reined-in West. They are convinced that the West has no values whatsoever, and is unworthy of its current preferred status in international affairs. As a result, the talks between the powers and Iran are not conducted in a manner reflecting the true balance of power between them, but rather the exact opposite. It is Iran that dictates the agenda, while America and the West attempt to placate the other side, and are hesitant about bringing up issues that they fear Iran will refuse to discuss, lest they be accused by Iran of lacking serious intent in the negotiations. It is within the problematic framework described above that the struggle over an agreement is currently being conducted. It is sufficient to examine the development of the American position on the issue of the number of centrifuges that Iran will be allowed to keep operational, in order to see the extent to which Washington has agreed to be flexible in its demands, without receiving anything in return from Teheran. While at the beginning of the talks the Americans spoke of allowing Iran to keep a symbolic number of centrifuges (i.e., 500-1,000), the number has since risen to 3,000, and then to 4,500, and now stands at 6,000, if not higher. The Iranians, on the other hand, have stuck to their initial demand that they be allowed to keep 7,500 centrifuges, rising to 190,000 over the implementation period of the agreement. It would also appear that the Americans at not as rigid as they were previously regarding a host of issues under negotiation: the period of the agreement; the nature of the inspection and oversight regime used to enforce it; the types of activities Iran will be allowed to pursue at its well-protected and previously secret facility at Qom (the US having already withdrawn its initial, justified demand that the facility be dismantled); the permitted specifications of the Arak reactor, which the Iranians insist should continue to operate as a heavy water reactor; the extent to which Iran will be required to reveal the previous military dimensions of its nuclear activities (information revealed by Israel in September 2014 about Iran’s experimental nuclear activities at its Parchin base, which made clear that these were incontrovertibly directed toward developing nuclear weapons, received no response from the United States); the restrictions on Iran’s centrifuge research and development efforts; and the oversight of Iran’s relations with other states in terms of nuclear technology. In almost all of these areas Iran has been exceedingly rigid and recalcitrant. Consequently, according to the agreement being drawn up, and contrary to American declarations that its intent is to keep Iran at least a year away from acquiring military-grade fissionable material, in actual fact Iran will be able to achieve that goal in very short period of time, if its infrastructure remains untouched. What will decide the length of time needed to make the breakthrough in terms of enrichment will be the extent to which the restrictions placed on Iran will be reversible, rather than the amount of time it would take Iran to produce sufficient quantities of weapons-grade uranium given the restricted capabilities it will be allowed to maintain. In any case, even with the capabilities that Iran will be allowed to keep, and of course assuming that as soon as it decides to go nuclear it will rapidly repair additional enrichment infrastructure, it is not clear how American declarations that a good agreement is one which keeps Iran at least a year away from the nuclear threshold, and that a bad agreement is worse than no agreement at all, can be squared with its recent proposals to Iran. Similarly, it is not yet clear whether Iran will be content with this, or whether it will assume – based on their past experience, and on that of North Korea – that the United States will be prepared to shift its stance even further, despite its public declarations. They may certainly find reasons for optimism: in the administration’s willingness to accept the end of June, rather than the end of March, as the target date for reaching an agreement, this in response to declarations from Iran’s leaders; or in the recommendation of David Ignatius, a senior commentator and administration insider, not to implement further sanctions immediately, even if the target date is not met; or in the efforts of the administration to silence criticism from Congress and from Israel. This is the background for the disagreements that have taken place over the years between Israel and the US administration over dealing with the Iranian threat. Although both countries essentially share a common goal of preventing Iran from gaining nuclear weapons, they differ in their attitudes to the threat itself, to the issue of concessions to Iran in the nuclear context, and to Iran’s regional role. Hence there are also significant differences in terms of: how they each define their goals as regards the threshold that should separate the regime of the Ayatollahs from nuclear weaponization; the strategies and tools to be deployed in order to achieve the defined goal; and the relative importance of the goal itself. Put succinctly, the United States seeks to prevent Iran from developing nuclear weapons, while Israel seeks to prevent it from having the capability to produce nuclear weapons. This is a huge gap. In terms of the threat, Israel’s view is that Iran under the current regime seeks, through a variety of ways, to bring about the destruction of the national state of the Jewish people. This is a central component of its broader efforts to form a new Middle East, controlled by extremist forces aligned with it and under its influence, from which basis it can go on to change the entire world order. Nuclear weapons are directly essential to this scheme, but also carry a greater significance in terms of the indirect message they convey about Iran’s status as a power, about its ability to successfully withstand US and Israeli pressure, and about its ability to topple elements of the current world order which are designed to maintain the superiority of the existing powers, such as the Nuclear Proliferation Treaty (NPT). Moreover, Iranian success in moving towards the production of nuclear weapons will bring about a nuclear arms race in a Middle East already beset by instability, as it will be impossible to justify preventing other states – which have not crudely contravened the NPT over an extended period of time, as did Iran – from developing enrichment capabilities. It will also seriously weaken the pragmatic states in the region, which already question the wisdom of relying exclusively on the United States as protector. In light of this, Israel considers Iranian nuclear capability to be a strategic threat of the highest order, and one that could even develop into an existential threat. Its policy therefore is to do everything it can to prevent Iran from achieving this capability. In other words, the width of the threshold separating Iran from nuclear weapons needs to be very great indeed, great enough to enable the preemptive thwarting of any Iranian attempt to acquire such weapons, to the extent that Iran itself will recognize that there is no point in trying to go nuclear, as there is no chance of succeeding. From Israel’s perspective, any narrowing of this threshold represents a red line, and it would feel justified in taking significant risks to prevent this happening. 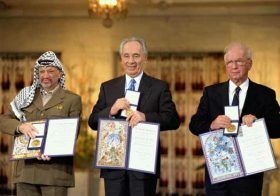 For example, the intelligence gathering and research capabilities allowed Israel to be the first to warn of the development of the threat, including shedding light on Iranian activity in the nuclear and SSM areas, and thereby to place the Iranian nuclear issue firmly on the international agenda. The importance that foreign elements have placed on intelligence cooperation with Israel gave it entry into the small club of Western partners leading this struggle. Foreign reports have attributed to Israel various secret operations against Iran, and the prime minister’s “red line” speech at the United Nations had a decisive impact, in that it caused Iran to refrain from accumulating 20% enriched uranium to an amount beyond that referred to by Netanyahu in his speech. Similarly important was Netanyahu’s subsequent speech to the UN, a year later, in which he made clear the distance between the Israeli and American positions regarding Rouhani’s election as president. It is worth noting that a significant proportion of the international determination to impose real sanctions on Iran stemmed from the need to dissuade Israel from using military force against it. Israel’s threats were taken with the utmost seriousness, and it was Israel that succeeded, in cooperation with France, in persuading the powers to insist that Iran give up its store of 20%-enriched uranium as part of the November 2013 JPOA. This was not something that the US administration had insisted upon, convinced as it was that Iran would refuse this demand. As already stated, without Israel’s actions Iran would be much closer today to having nuclear weapons, or would even have developed them several years ago. Over the years, Israel’s strategy toward the Iranian nuclear program has consistently been one of force. Israel has never believed that there is any chance of the Iranian regime willingly changing its outlook or its aims, and therefore has remained convinced that Iran will only change its policy, and give up its nuclear aspirations, if it is forced to do so, through a combination of preventative operations, diplomatic pressure, economic sanctions, and a credible military threat. 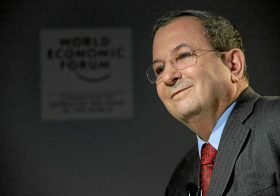 In this way Israel believes that it can be made clear to Iran that it has no chance of becoming a nuclear weapon state, and therefore that there is nothing to be gained from endangering the regime’s survival or from suffering extreme economic distress in an attempt to achieve an unobtainable goal. At the very least, Israel has sought to impress upon the Iranian regime that even if it might be able to reach its nuclear goal, the cost would be so great, in terms of the regime’s survival, that the effort involved would clearly not be worth the risk. In parallel, and as part of its overall strategy, Israel believed that the ultimate solution involved the replacement of the Iranian regime with a pragmatic, pro-Western regime. According to Israeli assessments, this outcome is not just a pipe dream, given the events of the summer of 2009, and the results of the 2013 Iranian elections, which saw a landslide victory for the candidate widely seen as being exceedingly pragmatic. 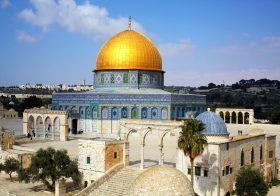 Israel’s perspective is that ideological dictatorships are eventually bound to fall, as a result of domestic pressures. Israel’s strategy requires a combination of direct actions and pressures, along with the engagement of the international community, in particular the United States, in exercising pressure in areas outside of Israel’s direct scope of action. Thus cooperation with the United States on the Iranian issue, and in particular with the administration, is a fundamental and essential component in Israeli strategy, above and beyond the larger strategic importance of the US relationship to Israeli’s security and international standing. In Israel’s view, this combination of pressures is the best way both to block the nuclear program, and to ensure that there will be no need to employ the military option, an entirely undesirable option. It is clear that Iran does not see itself as being able to confront the military might of the United States, nor even the military capabilities it believes Israel to possess. The more credible the military threat, the less likely that it will need to be carried out; and the greater the pressure on Iran, the greater the probability that it will agree to more significant concessions. This view is largely shared by a number of other parties involved, including first and foremost the US Congress (and not just the Republican Party). At the current time, according to this approach, it is clear that the level of pressure on Iran is only sufficient to bring it to the table. This is a tactical move on Iran’s part, designed to ease the international pressure. It doesn’t represent any real intention to change policy, but rather is a continuation of Iran’s efforts to entrench itself as close as possible to nuclear capability, this time legitimately, all the while bolstering its regional standing. Thus there is a need for a significant increase in economic pressure, diplomatic isolation, and the threat of military action, in order to persuade Khamenei to display the “heroic flexibility” he spoke of recently, and to halt the military nuclear program. The events of 1988, 2003, and 2013 (when US threats of military action, should Iran carry through on threats to harm shipping in the Hormuz Straits, brought about Tehran’s immediate capitulation), as well as Iran’s refraining from increasing its stocks of 20%-enriched uranium following Netanyahu’s “red line” speech at the UN, are all evidence of the need for similar action now. Unlike Israel (and Congress), the US administration – particularly under Obama, but also under Clinton, and to a lesser extent under Bush – has a fundamentally different strategy, one which stems from a different worldview and a different assessment of the threat. In this approach, the goal is a complex one. On the one hand, it seeks to keep Iran at a reasonable remove from nuclear weapons status, that is, at a distance that would allow forceful intervention to prevent any Iranian effort to produce weapons, although not necessarily one that would deter Iran from considering an attempt to do so. On the other hand, it seeks to bring Iran on board to efforts to stabilize the Middle East, and is willing to pay it a significant price in order to do so, in terms of the legitimization of Iran’s central role in the region. As a result, the United States has of course no interest in appearing to be working towards a change in the regime in Tehran, despite its hostility toward the United States and Israel, and thus restricts itself to paying lip service to the protection of human rights in Iran under this cruel regime. Beyond this, the Unites States has a further goal: to prevent Israeli uses of force against Iran that would lead to an escalation. This goal is almost as important as preventing Iran from obtaining nuclear weapons. The administration’s approach to dealing with the threat inherent in the Iranian nuclear program is not only, or not even mainly, to threaten Iran, but rather to engage it in dialogue, directly or in the context of multilateral talks, and to offer enticements. Hence the Clinton administration refrained from acting decisively against the Iranian missile program, concerned that that might damage relations with Moscow at what was a sensitive time, and the Bush administration refrained from adopting any real sanctions in response to the Iranian nuclear program, satisfying itself with the deluxe sanctions imposed by the UN Security Council. The Obama administration has opposed the delineation of red lines (apart from the obvious red line of actually producing nuclear weapons), and has opposed any move to deepen economic sanctions, although it should be stated that once more severe sanctions were adopted, against its will, it carried out the decision impressively. It also dismissed the option of simply allowing the Iranian program to go ahead, despite the fact that there were voices within the administration that supported this delusional idea. The administration opposed the expulsion of Iranian banks from the SWIFT mechanism in March 2012, and vehemently opposed the sanctions imposed by Congress in January 2012. But the administration was forced to relent to pressure from Europe and from Congress. As part of the JPOA, the administration agreed to an easing of sanctions, based on the idea that this would give the Iranians a taste for further easing, which in turn might be enough to entice them to make far-reaching concessions in the negotiations. This assumption has proven to be unfounded. This assumption reflects an error of projecting one’s own logic onto the rival. In practice, the easing of sanctions has only reduced Iran’s incentive to make concessions, but the administration has refused to acknowledge its mistake, and continues to pursue its policy and to seek justifications for it. The action strategy of the administration as regards Israel has focused, as noted, on efforts to prevent Israeli military action. To this end, the administration adopted the formula of “all options are on the table,” at first just an empty phrase, which did nothing to dissuade Israel from seriously considering military options and from developing capabilities needed to support them, especially when it became clear that the administration was using this phrase almost solely for Israeli ears, so as not to unsettle Iran. Subsequently, the administration was forced to prepare concrete plans for military action, and to build up its own capabilities for handling the Iranian nuclear threat. These steps have been essential, both to prepare for an eventuality in which Iran tries to make the step to full nuclear capability, and in order to persuade Israel of the seriousness of the US commitment to prevent Iran having nuclear weapons. Another central course of action used by the administration to rein in Israel is the step of actually conducting dialogue with the Iranian regime. This has allowed it to offer carrots to Iran, in parallel to the stick it is also forced to hold, and at the same time has largely neutralized the relevance of the Israeli military threat. An Israeli military operation is unthinkable during negotiations, or once an agreement has been reached in which Iran does not cross the Israeli red line, even if Israel might be opposed to its details. It should be emphasized that this dialogue did not begin with Khamenei’s election, but much earlier; the process which led to the current talks began in January 2013, some seven months before Khamenei took on his role. There is thus no connection between the new president of Iran’s more practical approach and the US move to establish dialogue with Iran. The administration attributes utmost importance to the success of the talks, due both to considerations pertinent to the issues at hand – settling the issue in such a way that it can be presented as a gain, or at least as the most acceptable solution attainable without being dragged into an escalation – and to considerations of principle, that is, as a proof for its belief that conflicts can and should be resolved by diplomatic means and by dialogue. In order to prevent the talks’ failure, it has repeatedly shifted its stance, as already noted, and adopted positions that it would have previously rejected out of hand. It has gone out of its way, again and again, to avoid insulting its Iranian negotiating partners, and affairs reached the stage where the president sent a personal letter to the supreme spiritual leader of Iran, in which he requested that the latter consider softening his position. Two hurdles stand in the administration’s way. Firstly, the hesitancy it displays to Iran may bring the Iranians to refuse even the current far-reaching proposals, in part due to the differences of opinion on the matter within Iran. And secondly, Israel and Congress have yet to give up on the possibility of scuttling the agreement. Hence the administration is currently applying all its efforts to addressing these two hurdles. While it is promising Iran that it will not increase the pressure on it, and is already hinting – following Khamenei’s declarations – that the target date of the end of March is not necessarily the date by which the framework for the agreement has to be finished, it is also trying to give Tehran the impression that the current proposal will be its final one. And in terms of Israel and Congress (and in particular the Republican leadership, which is trying to draw together one last effort to prevent the problematic agreement), the administration is applying maximum pressure, especially on the prime minister, and is presenting their actions as being motivated by political considerations. The administration thereby seeks to ensure that it will not have to gain Congress’s approval for the agreement. While Israel is not one of the countries involved in the talks with Iran, and the United States does not consult with it regarding its positions on the issues under negotiation, it does have a clear and central interest in the outcome of the talks. 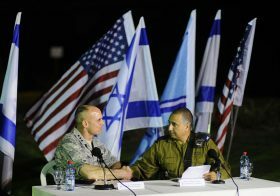 As such, Israel receives regular updates on the progress of the negotiations, mainly from the United States, and is able to contribute intelligence information and insights to help the six in formulating their position. Israel does not oppose the talks per se, and would certainly be satisfied if they were to result in an agreement that matches its goals. But in practice, Israeli concerns about the form of the talks have been proved to be justified, and the talks have been used to arrive at an agreement that Israel finds unacceptable. This is the state of affairs ahead of the difficult decisions to be made in the coming weeks. The ball is largely in Iran’s court, and it is impossible to know what result is likely in the power struggles at the top in Teheran. The US administration is very interested in achieving an agreement, not any price, but certainly at a very high price, and as usual it is not averse to attacking Israel and to seeking to deter it from interfering. Israel, and especially its prime minister, understands that this may be a case of now or never, regardless of President Obama’s question, “What’s the hurry?” It is determined to continue with its efforts to increase the pressure on Iran, so as to allow the administration to reach a better agreement, even at the price of a strained relationship with the president, and even with the Democratic Party. Is the prime minister acting correctly? Having been closely involved in the campaign against the Iranian nuclear program from the beginning, I believe that the advantages of this course of action outweigh its disadvantages, although these should not be belittled. Certainly the coarse intervention in the decision-making processes of Congress represents a last resort, one which Israel has refrained from using throughout the discussions up to this point, partly in response to requests to do so from the administration, and partly in recognition of the damage it might cause. But in light of the seriousness and urgency of the threat, it would seem that the use of irregular means is justified. 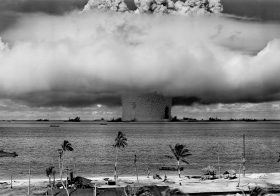 There is not likely to be a second chance to get things right, and the situation is similar to the question of whether to resort to “special means” (i.e., a nuclear strike) on the eve of the Yom Kippur War. And yet, it is worth asking whether the administration has not already succeeded in bringing matters to a point where the ship has sailed, and the speech will make no difference. There is no clear and precise answer to this question, but given the effectiveness of the prime minister’s previous speeches, and the opposition of many democratic senators to the nascent agreement, as well as the acuteness of the danger inherent in the deal being adopted by Iran, it is not impossible that the prime minister will succeed in persuading some of them to support an increase of pressure on Iran now, in order to seek a better deal later on. Sixty-seven senators can prevent a presidential veto of a conditional bill that will call for more severe sanctions against Iran should a good deal not be achieved by the end of March, and that will force the president to present the agreement for approval by Congress. In terms of the worsening relationship between the heads of both states, the damage has already been done. But it is doubtful whether this will spread to the relationships that exist between the establishments on both sides, in a way that might significantly hurt existing ties. Ultimately, this is a relationship that entails close cooperation to the benefit of both sides, reflecting the tremendous importance that Israel attaches to its strategic partnership with its only major power ally, as well as the deep US commitment to Israel’s security. The insult taken by the president is no doubt authentic, given his sensitivity to any criticism from Israeli sources, as well as the inability of the administration to see Netanyahu as anything other than a political rival who aligned himself with the most right-wing elements of the Republican Party at the last elections. But more than that, this portrayal of insult appears to be a gimmick designed to help the administration torpedo this joint initiative of Congress and Israel. The decision not to meet with the prime minister is also connected to this issue, since no reasonable person would believe that such a meeting, focused on the Iranian question, would in any way cause Israeli voters to think that President Obama was thereby supporting Netanyahu’s election campaign. The situation that has arisen is one in which the timetable for Israel’s election clashes with the timetable for the critical talks on the future of the Iranian nuclear program. It is illogical to expect that in such a case Israel would refrain from using all the tools at its disposal in order to prevent a deal that would endanger it. Indeed, no other course of action is possible, as ensuring the country’s security is a central duty of any serving prime minister. In any case, in terms of exceptional steps, it is worth examining the possibility of a mass demonstration outside the US embassy in Israel, to demand that the administration not adopt policies that endanger Israel’s security. This might be a demonstration in which representatives of all the Zionist political parties might participate, which would make clear that, when it comes to the Iranian issue, there are no real differences of opinion among the Israeli public. Brig. Gen. (res.) Yossi Kuperwasser was chief of the research division in IDF Military Intelligence, and until recently, director general of the Ministry of Strategic Affairs. This text is based on the lecture that General Kuperwasser delivered on February 15, 2015 at the Begin-Sadat Center for Strategic Studies. Brig. Gen. (res.) Yossi Kuperwasser was chief of the research division in IDF Military Intelligence, and until recently, director general of the Ministry of Strategic Affairs.